Airmech is a game where you build soldiers, pick them up with your transformer, carry them over long distances, and drop them off next to an enemy base so that they can capture it. Airmech is a free-to-play RTS game with no real resource gathering system combined with some MOBA elements. It’s super fast-paced but it doesn’t take long to get a handle of things, especially if you’ve played other RTS games, like StarCraft. Plus I love the art style. 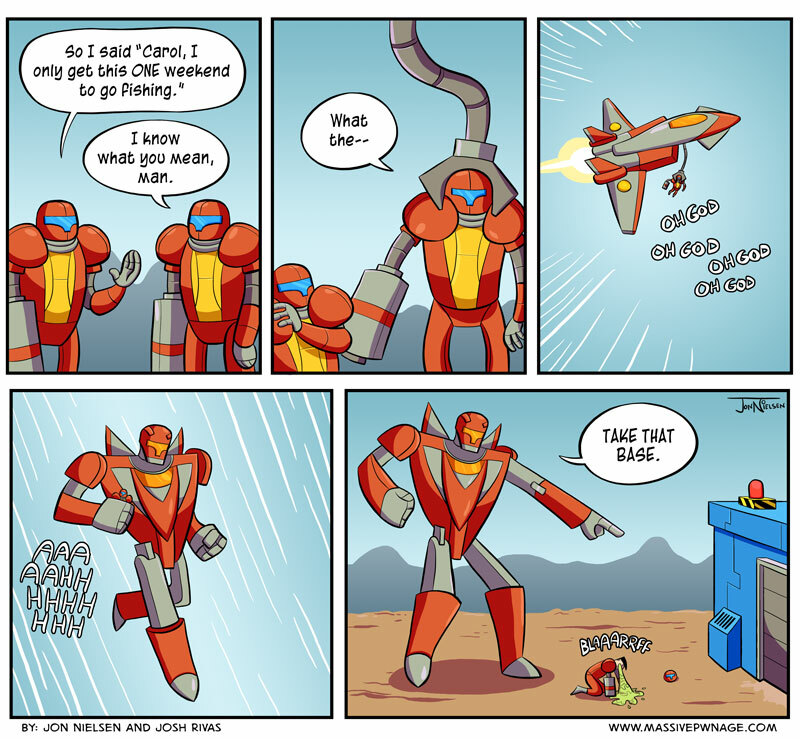 This entry was posted on Wednesday, August 15th, 2012 at 12:00 am and is filed under Comics. You can follow any responses to this entry through the RSS 2.0 feed. Both comments and pings are currently closed. I love Airmech. Such a fun game. And that’s why we use robots now.